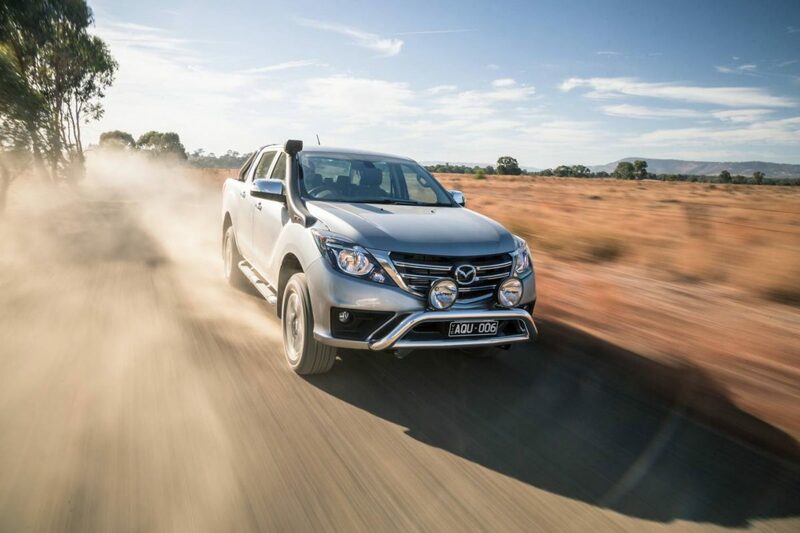 Ready to take on the toughest Aussie terrains, Mazda has released the New Look BT-50 exclusive to Australia. 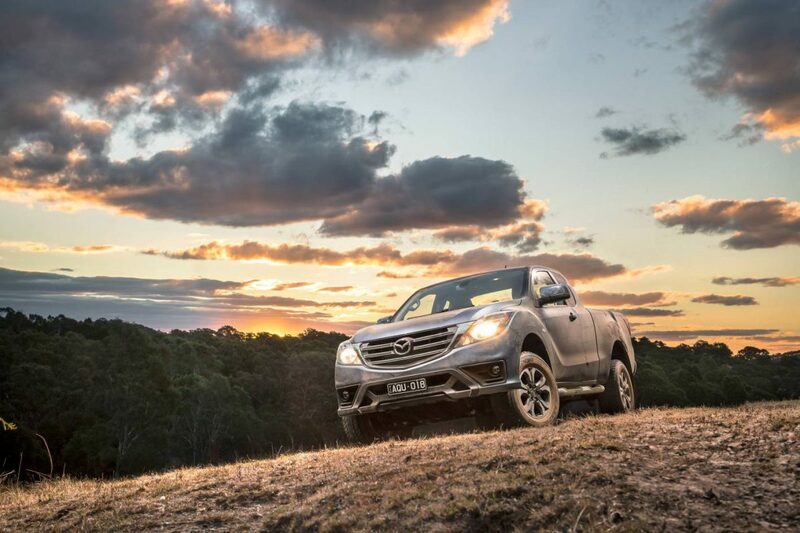 Designed and developed locally, the New Look BT-50 is purpose built for Australians looking for a tough ute that will tackle everything from the daily grind to off road adventures. 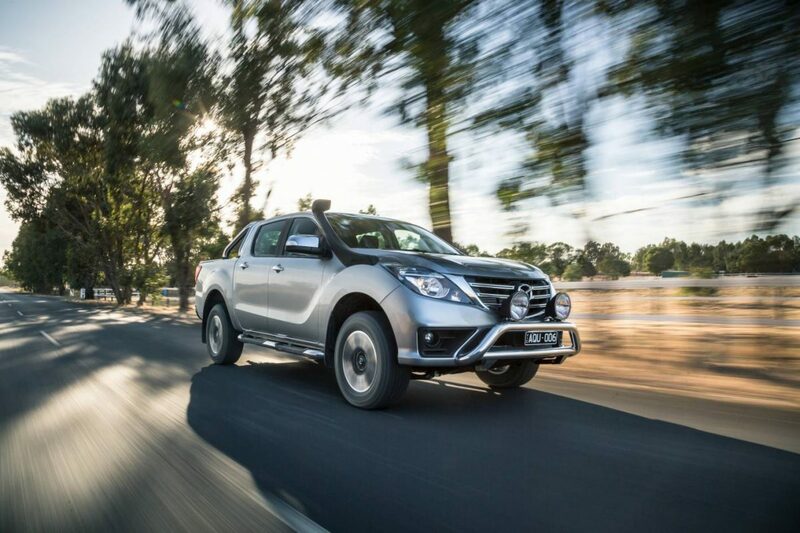 With major front-end design changes and added equipment across grades, this is the second and most comprehensive update to the Mazda BT-50 since its launch in 2011. The New Look BT-50 boasts a bold new bumper and grille to achieve a stronger road stance. Sharpening up the bumper, the outer edges have been squared off to give the ute a lower visual centre of gravity and a more solid bearing on the road. Strong, straight lines are carried through to new fog light surrounds and a large trapezoid lower air intake with skid plate, accented with mesh texture and a 3-dimensional insert for greater contrast. Further impressing a wide stance, the grille has also adopted horizontal lines, punctuated by a prominent Mazda badge. XTR and GT grades will have premium chrome grille fins, paired with a dark grey lower bumper insert, while XT will have satin black grille fins and black bumper insert. The front-end changes are bolstered by equipment upgrades across the range, which includes an exciting first for Mazda, the introduction of Apple CarPlay and Android Auto across all grades. The flagship GT will take another step up in class, offering more convenience and design differentiation as standard. The GT adds a chrome Sports Bar with integrated high-mounted LED stop light, a heavy-duty tub liner to protect the tub and tailgate from scuffs and dents, tailgate central locking to safely secure gear in the tray and a single 12 volt auxiliary socket and light to aid visibility in the tub. The XT will see the biggest changes with the addition of a Reverse Camera to improve rear vision and a 7-inch Alpine Infotainment System to keep drivers connected to the world around them. Mazda Australia Managing Director, Vinesh Bhindi, said the Australian-only BT-50 is an important step in the vehicle’s evolution. “The BT-50 has already won fans in Australia, offering safety, comfort, performance and answering customer’s practical needs with great towing power and payload,” said Mr Bhindi. “The utility segment is a huge priority in Australia and for Mazda; we’re always looking to improve and enhance our product offering, to remain competitive and appealing to our customers,” said Mr Bhindi. Making the BT-50 an even more enticing package, drivers will see ownership costs reduced, with servicing intervals updated from 10,000km/12 months to 15,000km/12 months. 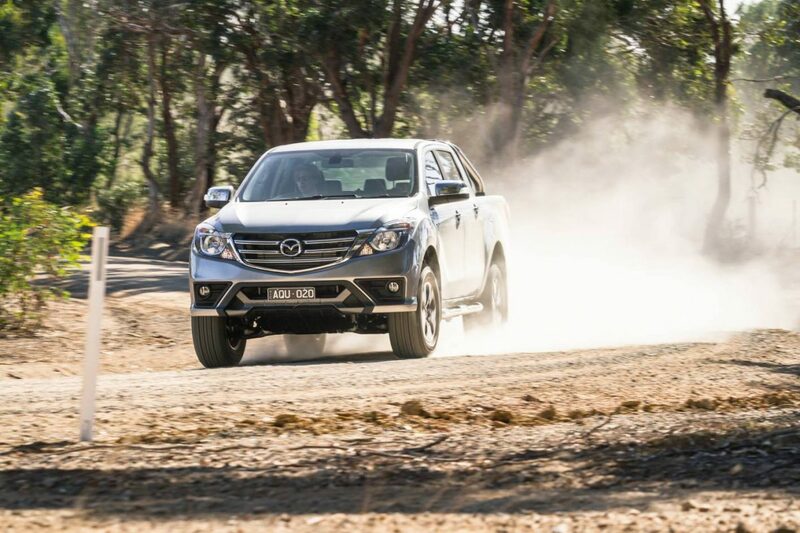 Based on a 15,000km/12 month interval, this will save owners of the New-Look Mazda BT-50 more than $850 at the five year service mark. When looking at real-world Mazda owner mileage of 25,000km per annum, there is a potential saving of $1920 after five years. 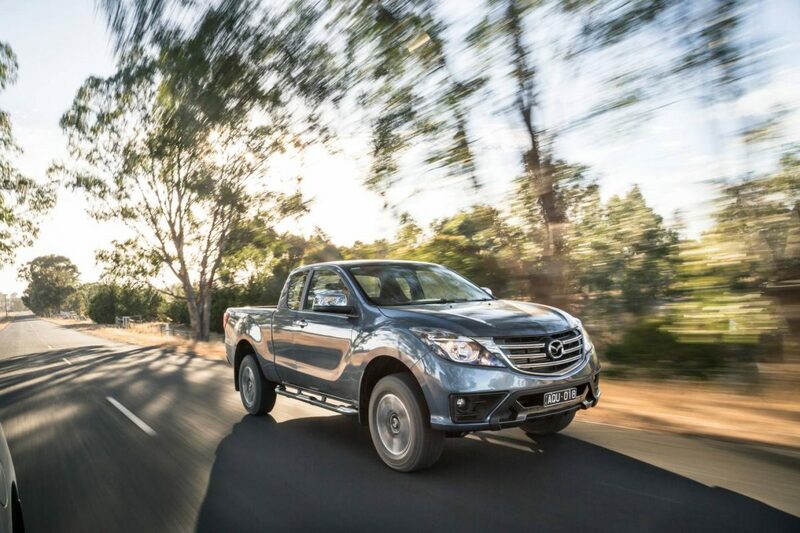 The potential for cost savings is boosted with driveaway pricing on all New-Look Mazda BT-50 models, starting from $28,990. The BT-50 will go on sale across Australia in May. To learn more about the New Look BT-50 or to find your local Mazda dealer, visit www.mazda.com.au.